Koh Rong Samloem is really one of the best island of Cambodia, but also we suggest to visit the nearby island called just Koh Rong! In this page we provide you a new and updated guide about Koh Rong for 2018! Koh Rong island also called Kaoh Rong is the largest island of Cambodia and about 25 Km far from Sihanoukville in the mainland. 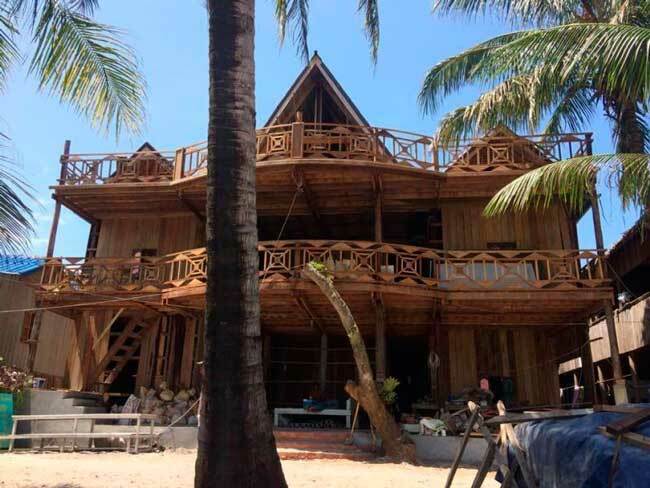 Koh Rong Island is still a paradise being that there are still not so much accommodation and bungalows so who have the possibility to go now are lucky before that they will build the airport that will bring more tourists and more hotels and resorts! You also can have a great experience being that in the island there are four small village where cambodian people live inside. Just from now on Koh Rong tehre are some raw roads, but at now no cars on the island, so go tehre before it will change in a more “business island”. Speedboat from Sihanoukville just take 45 minutes. 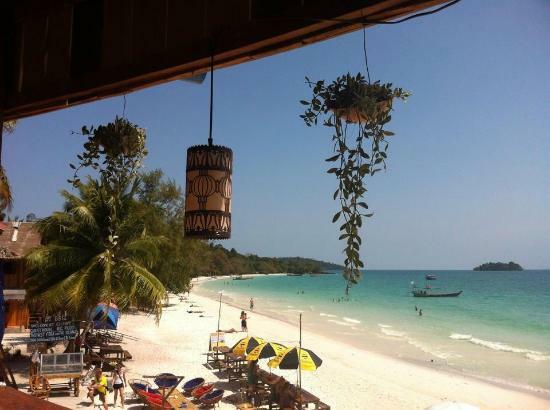 Koh Rong Island offer absolute relax, you can enjoy clear water with white sand beaches. The main beach is on boat pier where there are more bungalows. Than you have the long beach, about 7 Km of white sand, silence and just few accommodation that you can reach by boat or by trekking into the jungle; trekking will takes about 1 hour. So you can relax in the beach, do snorkeling and see color fishes and corals, do a trekking into the jungle, cycling and why not fishing!!! Electricity in Koh Rong is given by generator so you not have electricity during all the day but just few hour during the day. Anyway when generator is working you can have free Wifi. In the night when all lights are off you can see the plankton lights into the water or watch a full stars sky! 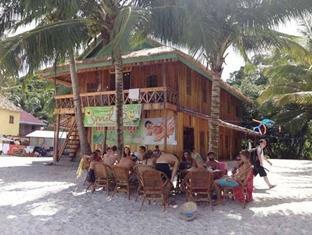 Koh Rong island is also a perfect place fo backpakers and please consider that in the island there aren’t ATM so provide to withdraw your money before to get to Koh Rong. You must know and consider that being an half desert island you can find sand flies that can bite you leaving marks that can irritate for some days, so we recommended to use a strong repellent . Also you must know that there are not medical care in the island. news: speed boat to koh rong available now!!! Surrounded by mature garden on a rolling hill on Koh Rong Island, Kohrong Beach Bungalow offers a restaurant and a private beach area. Guests can enjoy trekking, diving and fishing on site. It also has free WiFi. 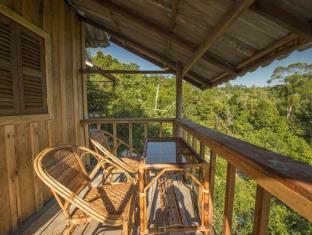 Featuring sea views, each wooden bungalow at Bungalow Kohrong comes with a fan and a seating area. En suite bathrooms are fitted with a shower and free toiletries. For guests’ convenience, the accommodation provides a tour desk and room service. Open for all-day dining, extensive local and international menu awaits at the on-site restaurant. Guests can enjoy their favourite drink at the bar. 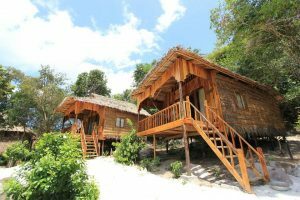 Set amidst the greenery of Koh Rong Island, Chorm Piey Sor Guest House (by smile) offers basic and peaceful accommodation with stunning views of the mountain and sea. Simply furnished, rooms come with a fan, mosquito net, a desk and seating area. Guests have access to a shared toilet and bathroom with shower facility. Towels are also provided. 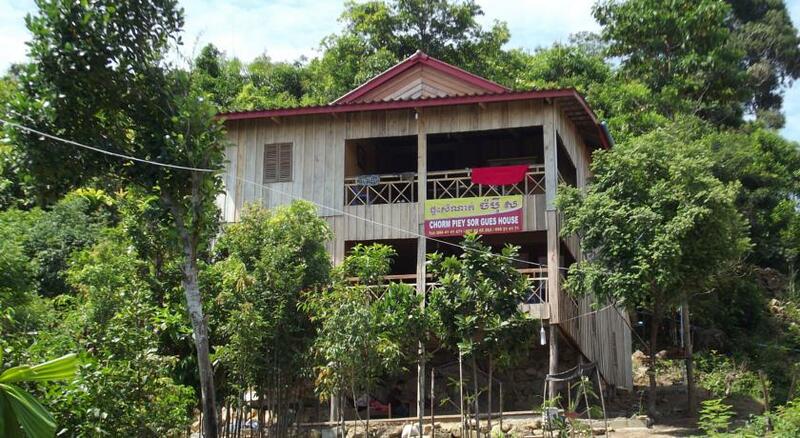 At Chorm Piey Sor Guest House (by smile), luggage storage facility is available. 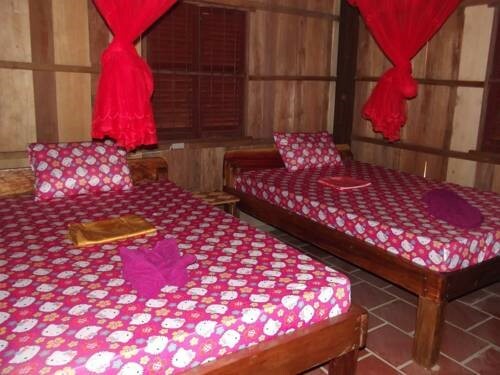 30 metres from the beach, Easy Guest House (by smile) offers basic rooms on Koh Rong Island. Laundry facilities are available at the guest house, where mountain views are available. Each fan-cooled room features a mosquito net. Towels are provided. Guests have access to a shared bathroom and shared toilet. Guests can go fishing and snorkelling during their stay at Easy Guest House (by smile). Sihanoukville International Airport is 41 km away. 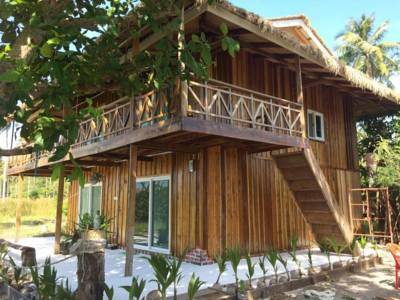 PARA Guest House (by smile) is nestled on the island of Koh Rong. Only 30 metres from the beach, it offers simple and basic guestrooms equipped with a private balcony. 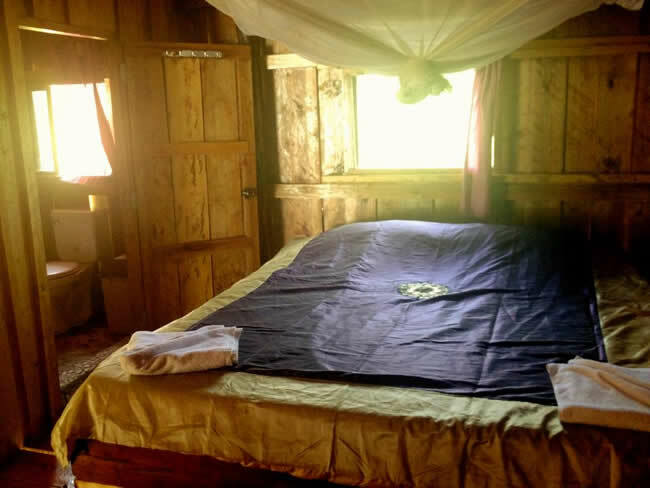 The accommodation will provide you with a fan, a bed and mosquito nets. Guests also have access to the shared bathroom facilities equipped with shower facilities. At PARA Guest House you will find a peaceful outdoor terrace. Other facilities offered at the property include laundry facilities. 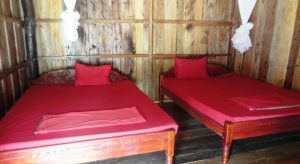 This affordable guesthouse is situated 41 km away from Sihanoukville International Airport. Situated along the shores of Koh Rong Island, Pura Vita Resort (by Smile) offers peaceful and comfortable accommodation with calming views of the sea. It houses a restaurant on site. Featuring a private balcony, fan-cooled rooms come with wooden flooring, a desk, mosquito net and safety deposit box. The attached bathroom includes a spray bidet and shower facility. 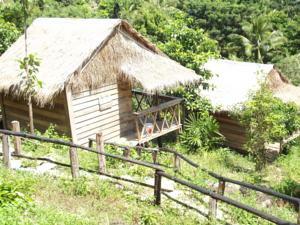 At Pura Vita Resort (by Smile), guests can approach the staff for assistance with laundry services. 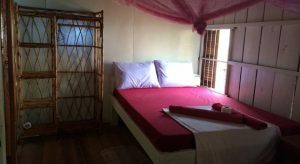 This property is approximately 41 km from Sihanoukville International Airport. Located 700 metres from a private beach, Romdoul Koh Rong is a resort with standalone rooms and tents. Featuring its own restaurant, the property has free WiFi in its common areas. 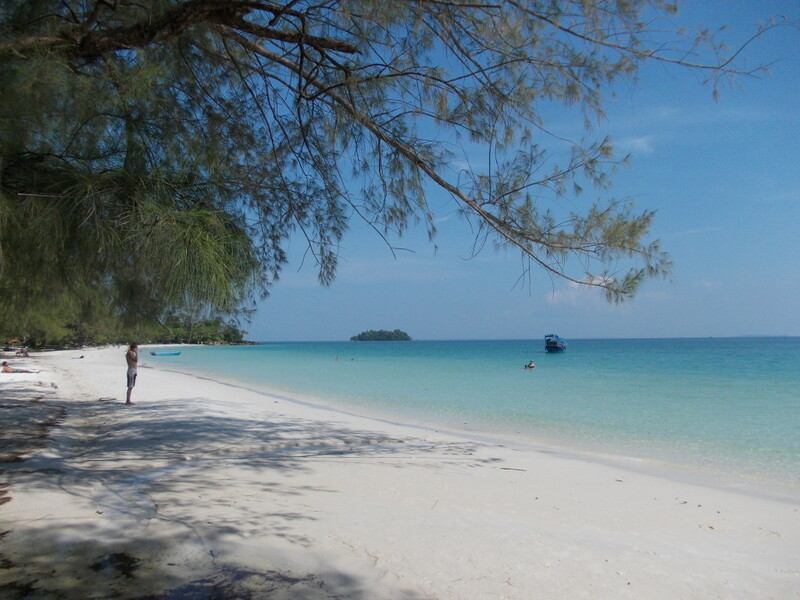 Romdoul Koh Rong is 38 km from Sihanoukville International Airport. 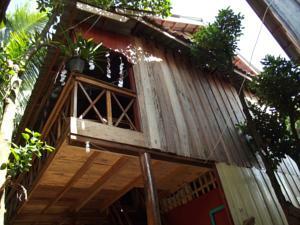 A shuttle service from Koh Tuich to the property can be arranged at a surcharge. Each room has a patio with garden and sea views and a mosquito net. A private bathroom with shower is included. Towels and linen are provided. Tents are located on the beach and offer sea views. 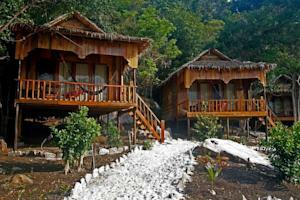 A 24-hour front desk and barbecue facilities are available at Romdoul Koh Rong. Guests can go fishing and snorkelling during their stay. SMILE RESORT features a beachfront restaurant and rustic, fan-cooled rooms with a balcony offering sea and mountain views. 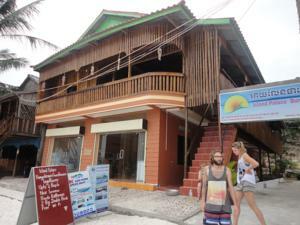 Located on Koh Rong Island, massage services are available at this beachfront property. SMILE RESORT is 41 km from Sihanoukville International Airport. Each room has seating and dining areas. A desk, mosquito net and clothes rack are included. Private bathroom comes with a bath or shower and towels. 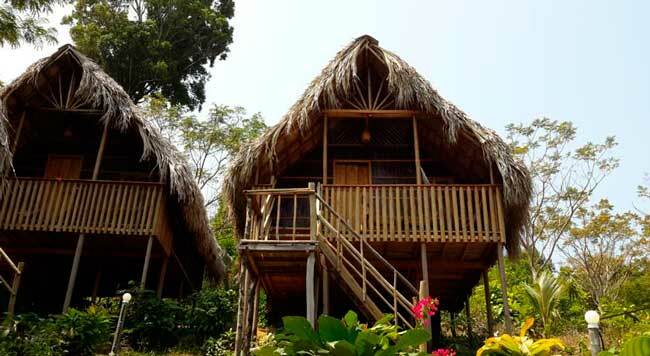 Guests can go fishing, canoeing diving and snorkelling during their stay. Other facilities include a currency exchange and tour desk. A tasty selection of Asian and Western dishes is served at the restaurant. Coffee and fresh fruit shakes are also available. 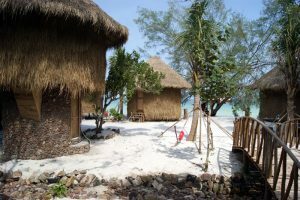 Offering access to a white sandy beach, Sok San Beach Resort features wooden bungalows with a thatched roof and free WiFi. The resort has an open-air lounge, a restaurant and a bar, all facing the sea. Each accommodation is fitted with a private balcony and a private bathroom with shower facilities and toiletries. 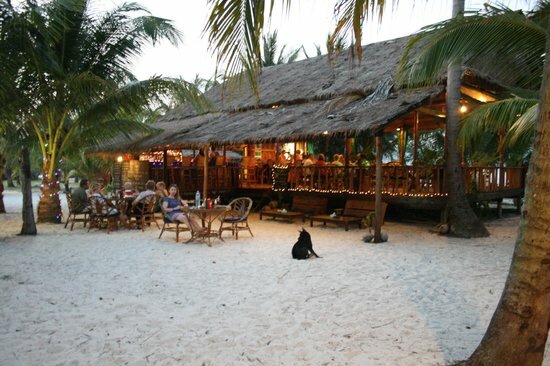 Located on Koh Rong Island, Sok San Beach Resort is 46 km from Sihanoukville International Airport. Airport shuttle and boat transfer services can be arranged upon request.